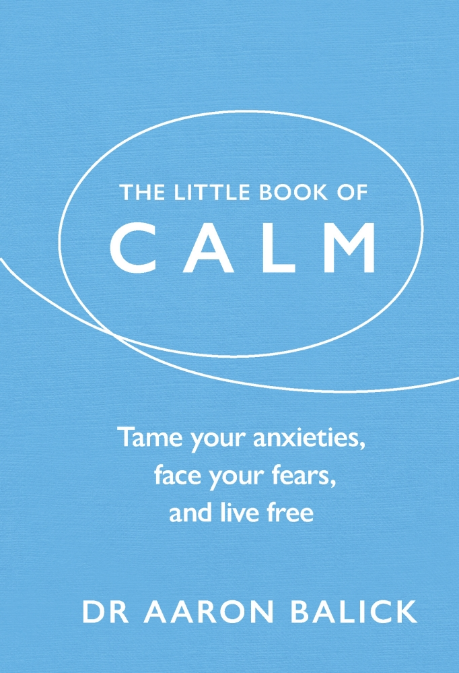 Calmness is possible, and The Little Book of Calm has the magic formula. This essential guide offers techniques, advice, and inspiration on the most effective ways to manage anxiety. From exercises to help put your worries into perspective, to techniques to relax when anxiety strikes, clinical psychotherapist Aaron Balick shows you how to feel more at ease and achieve a sense of calm. Over the past decade, the very nature of the way we relate to each other has been utterly transformed by online social networking and the mobile technologies that enable unfettered access to it. Our very selves have been extended into the digital world in ways previously unimagined, offering us instantaneous relating to others over a variety of platforms like Facebook and Twitter. In The Psychodynamics of Social Networking, Aaron Balick draws on his experience as a psychotherapist and cultural theorist to interrogate the unconscious motivations behind our online social networking use, powerfully arguing that social media is not just a technology but is essentially human and deeply meaningful. Does life keep making you stressed, worried and unable to achieve what you want? Then this book is for you! Deal with issues such as bullying, family strife, exam panic and what it means to be you in your life. 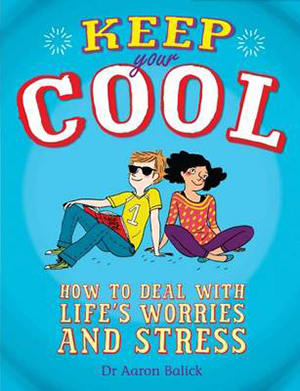 Filled with lots of practical activities providing support and guidance, this book will keep you cool, calm and collected in the modern world. Google "the digital age" and you’ll discover it is rather broadly defined as "the present time"—when most information is available in digital form, as compared to the era before the rise of computers in the 1970s. Depth psychology is the study of the soul, first and foremost associated with uncovering and exploring the unconscious. 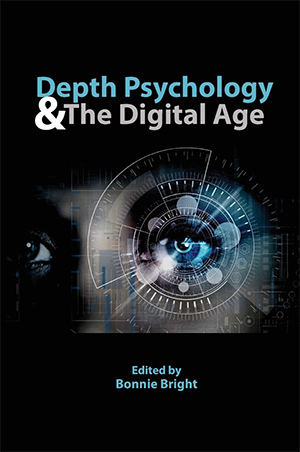 This diverse and compelling collection of depth psychological insights reveals the archetypal aspects at work on all of us in the depths of the digital age. For one of the founders of modern depth psychology, Carl Gustav Jung, who was born in 1875 and died in 1961, the "digital age" remained in potentia, but even more than half a century ago, he had significant concerns about the challenges of a growing mind/matter split and the excessive focus of western cultures in particular on science, technology, and rational thinking at the expense of more soulful, reflective way of being. Jung warned that this trend toward "modernity" could be detrimental unless modernity could be adequately acknowledged and dealt with from a psychological view. What is asked for is that we re-boot our understanding of the psychological and soulful aspects of technology in order to adopt a new way of being in a digital world. The contents of this volume are profoundly archetypal, proffering a chance to re-invent our relationship to the digital age and re-infuse it with meaning and soul. – Jen Hyatt, CEO, Big White Wall Ltd.
We’re living in an age of unprecedented human connectivity. Technology unites and interrupts us; it relays news, depicts worldwide photos, and shrinks the distances between our relationships. We tune into events elsewhere, witnessing the experiences of others unfolding in real time. Our communications paradigm has shifted and, with it, the interactions of our immediate environments have evolved. Published in partnership with Social Media Week and Nokia, On! 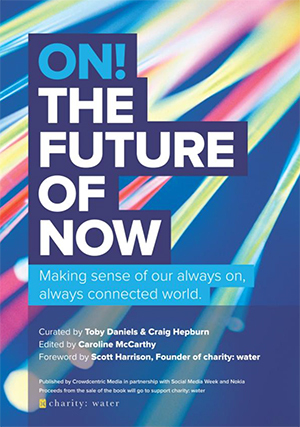 The Futre of Now is a collection of essays and personal stories from leading thinkers in tech, media and entrepreneurship that provides insight into how social media and technology have impacted their lives and their work. This anthology offers unique, psycho-cultural perspectives on media, popular culture and emotion, as develop thought the AHRC research network, Media and the Inner World. Applying insights form the spheres of academic scholarship and clinical experience, the psychocultural approach of this book demonstrates the usefulness of psychoanalysis for nuanced approaches to media and cultural analysis. 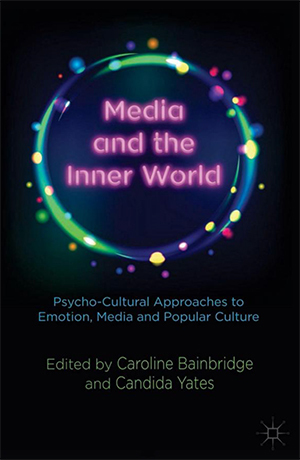 The chapters in this volume explores the relationship between media and the inner world by focusing on the inter-relationships between particular emotional themes and media contexts, ranging from fantasies of sporting ritual to the emotional work of cinema, the dynamics of digital narcissism and the relationships between paranoia and television. The book will be useful for students in Media Studies, Cultural Studies, Psychoanalytic Studies, and Psychosocial Studies. It will also be of interest to people in professional training and practice in psychotherapeutic organisations and to professionals involved in the culture and media industries. 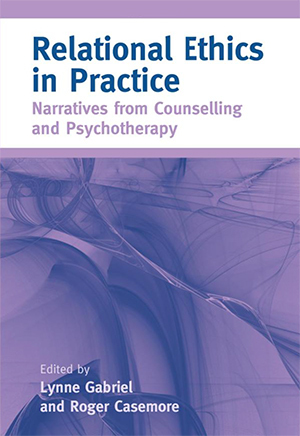 Relational Ethics in Practice presents a new collection of narratives on ethics in day-to-day therapeutic practice. Highly experienced professionals form a range of roles in the therapeutic professions explore ways of developing ethical and effective relationships. The contributors proofed the reader with engaging and informative narratives that indicate how ethics can inform and influenced practice in a variety of clinical contexts across the helping professions. These personal and professional narratives will encourage people to think more proactively about ethics and the impact that they have on both therapeutic practice and life in general. Anti-discriminatory Practice in Counselling and Psychotherapy is a ground-breaking text which identifies the ease with which individuals can be disadvantaged merely on the basis of their gender, race, culture, age, sexuality or ability. 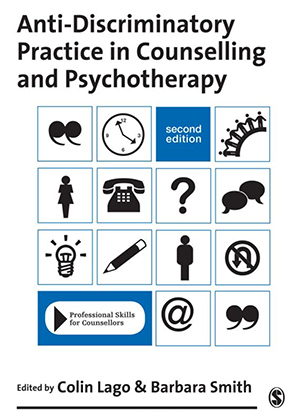 Examining these and other areas of discrimination, leading experts highlight how vital it is for counsellors, psychotherapists, and others in the helping professions – to be aware of and engage with their own social, political and cultural attitudes, and how they must develop their skills as culturally sensitive, reflective practitioners if counselling is to be truly accessible to all members of society. Psychological Commentary on Trump and the Goldwater Rule: What’s a Concerned Shrink To Do? What is Love – can it really be defined and explained? 2016. The life and times of Franz Alexander: from Budapest to California (Book Review). Psychodynamic Practice, pp.1-3. 2014. 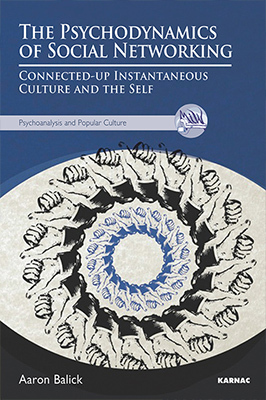 The psychodynamics of social networking: Connected-up instantaneous culture and the self. Karnac books. 2014. How to think about psychotherapy in a digital context. 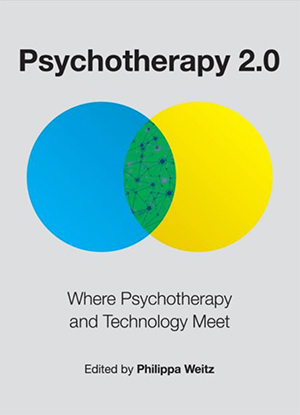 Psychotherapy 2.0: Where Psychotherapy and Technology Meet, p.23. 2014. The Ultimate Private/Public Partnership: The Extensions of the Self in the World of the Virtual Gaze. In Media and the Inner World: Psycho-cultural Approaches to Emotion, Media and Popular Culture (pp. 153-167). Palgrave Macmillan UK. 2014. Balick, A., Technology, Social Media, and Psychotherapy: getting with the programme. Contemporary Psychotherapy. 2014. Balick, A. and Weitz, P., 2014. The way forward. Psychotherapy 2.0: Where Psychotherapy and Technology Meet, p.227. 2013. The radio as good object: An object relational perspective on the curative and protective factors of a BBc public service broadcast for young people. Radio Journal: International Studies in Broadcast & Audio Media, 11(1), pp.13-28. 2012. TMI in the transference LOL: Psychoanalytic reflections on Google, social networking, and ‘virtual impingement’. Psychoanalysis, Culture & Society, 17(2), pp.120-136. 2012. Therapeutic Communication: Knowing What to Say When (Book Review). Psychodynamic Practice, 18(2), pp.269-271. 2012. The relationship between personality and Facebook use: not so direct as the headlines seem to indicate. Psychotherapy. 2011. Speculating on sexual subjectivity: on the application and misapplication of postmodern discourse on the psychology of sexuality. Psychology & Sexuality, 2(1), pp.16-28. 2010. Sexualities, Sexual Identities and Gender An anti-discriminatory approach. Anti-Discriminatory Practice in Counselling & Psychotherapy, p.43. 2008. The Multiciplicity of Gender: An Integrative Psychoanalytic Approach to Theorising Gender and Sexual Identities (Doctoral dissertation, University of Essex). 2001. Shifting paradigms—psychotherapy, neuroscience, and a changing world: the seventh professional conference of the UK council for psychotherapy.